Trials can be quite costly, depending on a number of factors. The sponsor may be a governmental organization or a contract research organization or a central laboratory. Only 10% of all drugs started in human clinical trials become an approved drug. In the US, the elderly constitute only 14% of the population, while they consume over one-third of drugs. People over 55 (or a similar cutoff age) are often excluded from trials because their greater health issues and drug use complicate data interpretation, and because they have different physiological capacity than younger people. Women, children and people with unrelated medical conditions are also frequently excluded. For women, a major reason for exclusion is the possibility of pregnancy and the unknown risks to the fetus. The sponsor designs the trial in coordination with a panel of expert clinical investigators, including what alternative/existing treatments to compare to the new drug and what type(s) of patients might benefit. If the sponsor cannot obtain enough subjects at one location, investigators at other locations are recruited to join the study. During the trial, investigators recruit patients with the predetermined characteristics, administer the treatment(s) and collect data on the patients' health for a defined time period. Data include measurements such as vital signs, concentration of the study drug in the blood and/or tissues, changes to symptoms and whether health outcomes. The researchers send the data to the trial sponsor, who then analyzes the pooled data using statistical tests. While most clinical trials test one alternative to the novel intervention, some expand to three or four. Except for small, single-location trials, the design and objectives are specified in a document called a clinical trial protocol. The protocol is the trial's 'operating manual' and ensures that all researchers perform the trial in the same way on similar patients and that the data is comparable across all patients. Because a trial is designed to test hypotheses and rigorously monitor and assess outcomes, it can be seen as an application of the scientific method, specifically the experimental step. The most common clinical trials evaluate new drugs, medical devices (such as a new catheter), biologics, psychological therapies, or other interventions. Clinical trials may be required before a national regulatory authority approves marketing of the innovation. Similarly to drugs, medical devices are sometimes subjected to clinical trials. Device trials may compare a new device to an established therapy to a new device, or may compare similar devices to each other. An example of the former in the field of vascular surgery is the Open versus Endovascular Repair (OVER trial) for the treatment of abdominal aortic aneurysm, which compared the older open aortic repair technique to the newer endovascular aneurysm repair device. An example of the latter is the LEOPARD trial, which compares EVAR devices. 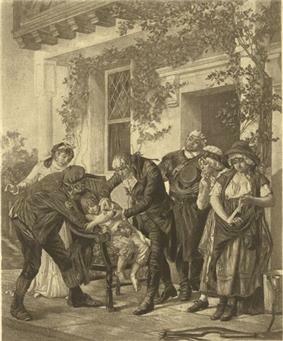 The first proper clinical trial was conducted by the physician circumnavigation attracted much attention in Europe; out of 1900 men, 1400 had died, most of them allegedly from having contracted scurvy. John Woodall, an English military surgeon of the British East India Company, had recommended the consumption of citrus fruit (it has an antiscorbutic effect) from the 17th century, but their use did not become widespread. After 1750 the discipline began to take its modern shape. John Haygarth demonstrated the importance of a control group for the correct identification of the placebo effect in his celebrated study of the ineffective remedy called Perkin's tractors. Further work in that direction was carried out by the eminent physician Sir William Gull, 1st Baronet in the 1860s. Sir Ronald A. Fisher, while working for the Rothamsted experimental station in the field of agriculture, developed his Principles of experimental design in the 1920s as an accurate methodology for the proper design of experiments. Among his major ideas, was the importance of randomization - the random assignment of individuals to different groups for the experiment; replication - to reduce uncertainty, measurements should be repeated and experiments replicated to identify sources of variation; blocking - to arrange experimental units into groups of units that are similar to each other, and thus reducing irrelevant sources of variation; use of factorial experiments - efficient at evaluating the effects and possible interactions of several independent factors. The first randomised curative trial was carried out at the MRC Tuberculosis Research Unit by Sir Geoffrey Marshall (1887–1982). The trial, carried out between 1946-1947, aimed to test the efficacy of the chemical streptomycin for curing pulmonary tuberculosis. The trial was both double-blind and placebo-controlled. 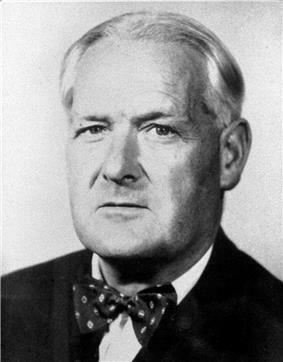 The methodology of clinical trials was further developed by Sir Austin Bradford Hill, who had been involved in the streptomcyin trials. From the 1920s, Hill applied statistics to medicine, attending the lectures of renowned mathematician Karl Pearson, amongst others. He became famous for a landmark study carried out in collaboration with Richard Doll on the correlation between smoking and lung cancer. They carried out a case-control study in 1950, which compared lung cancer patients with matched control and also began a sustained long-term prospective study into the broader issue of smoking and health, which involved studying the smoking habits and health of over 30,000 doctors over a period of several years. His certificate for election to the Royal Society called him "...the leader in the development in medicine of the precise experimental methods now used nationally and internationally in the evaluation of new therapeutic and prophylactic agents." In a clinical observational study, the investigators observe the subjects and measure their outcomes. The researchers do not actively manage the study. In an interventional study, the investigators give the research subjects a particular medicine or other intervention. Usually, they compare the treated subjects to subjects who receive no treatment or standard treatment. Then the researchers measure how the subjects' health changes. Another way of classifying trials is by their purpose. The U.S.
^ Yang, Z. J., et al. (2010). "Motivation for Health Information Seeking and Processing About Clinical Trial Enrollment." Health Communication 25(5): 423-436. ^ Moynihan R (2003-05- cvc31). Who pays for the pizza? Redefining the relationships between doctors and drug companies. 2: Disentanglement. BMJ: British Medical Journal. Volume 326, Issue 7400, pp. 1193–1196. Retrieved on 2007-10-06. In 2012, Z. Janet Yang, Katherine A. McComas, Geri K. Gay, John P. Leonard, Andrew J. Dannenberg, and Hildy Dillon conducted research on the attitudes towards clinical trial treatment and the decision making of signing up for such trials by cancer patients and the general population. They used the risk information seeking and processing (RISP) model to analyze the social implications that affect attitudes and decision making pertaining to clinical trials. People who hold a higher stake or interest in clinical trial treatment showed a greater likelihood of seeking information about clinical trials. Those with networks that stress the importance of learning about clinical trials are also more likely to seek and process information more deeply. People with more knowledge about clinical trials tend to have to a greater likelihood of signing up. In the study, cancer patients reported more optimistic attitudes towards clinical trials than the general population. Having a more optimistic outlook on clinical trials also leads to greater likelihood of enrolling. Before participating in a clinical trial, interested volunteers should speak with their doctors, family members, and others who have participated in trials in the past. After locating a trial, volunteers will often have the opportunity to speak or e-mail the clinical trial coordinator for more information and to answer any questions. After receiving consent from their doctors, volunteers then arrange an appointment for a screening visit with the trial coordinator. However, many clinical trials will not accept participants who contact them directly to volunteer, as it is believed this may bias the characteristics of the population being studied. Such trials typically recruit via networks of medical professionals who ask their individual patients to consider enrollment. Phase 0 and Phase 1 drug trials seek healthy volunteers. Most other clinical trials seek patients who have a specific disease or medical condition. The diversity observed in society, by consensus, should be reflected in clinical trials through the appropriate inclusion of ethnic minority populations. Patient recruitment plays a significant role in the activities and responsibilities of sites conducting clinical trials. It has been suggested that clinical trial participants be considered to be performing ‘experimental' or 'clinical labour’. Re-classifying clinical trials as labour is supported by the fact that information gained from clinical trials contributes to biomedical knowledge, and thus increases the profits of pharmaceutical companies. The labour performed by those participants in clinical trials includes the provision of tissue samples and information, the performance of other tasks, such as adhering to a special diet, or (in the case of Phase I trials particularly) exposing themselves to risk. The participants in exchange are offered potential access to medical treatment. For some, this may be a treatment with the potential to succeed where other treatments have failed. For other individuals, particularly those situated in countries such as China or India, they may be given access to healthcare which they otherwise would be unable to afford, for the duration of the trial. Thus, the exchange which exists may serve to classify clinical trials as a form of labour. Participants in Phase 1 drug trials do not gain any direct benefit from taking part. They are generally paid an inconvenience allowance because they give up their time (sometimes away from their homes); the amounts paid are regulated and are not related to the level of risk involved. In most other trials, subjects are not paid to ensure their motivation for participating is the hope of getting better or contributing to medical knowledge, without their judgment being skewed by financial considerations. However, they are often given small payments for study-related expenses such as travel or as compensation for their time in providing follow-up information about their health after they are discharged from medical care. Many clinical trials do not involve any money. However, when the sponsor is a private company or a national health agency, investigators are almost always paid to participate. These amounts can be small, just covering a partial salary for research assistants and the cost of any supplies (usually the case with national health agency studies), or be substantial and include 'overhead' that allows the investigator to pay the research staff during times between clinical trials. Clinical trials are traditionally expensive and difficult to undertake. Using internet resources can, in some cases, reduce the economic burden. New technologies enable sponsors and CRO's to reduce trial costs by executing online feasibility assessments and better collaborate with research centers such as ViS Research Institute. National health agencies, such as the US National Institutes of Health, offer grants to investigators who design clinical trials that attempt to answer research questions of interest to the agency. In these cases, the investigator who writes the grant and administers the study acts as the sponsor, and coordinates data collection from any other sites. These other sites may or may not be paid for participating in the study, depending on the amount of the grant and the amount of effort expected from them. In the US, sponsors may receive a 50% tax credit for clinical trials of drugs being developed for the treatment of rare (orphan) diseases. These costs are incurred over several years. The cost of a study depends on many factors, especially the number of sites conducting the study, the number of patients required, and whether the study treatment is already approved for medical use. Clinical trials follow a standardized process. Different countries have different regulatory requirements and enforcement abilities. An estimated 40% of all clinical trials now take place in Asia, Eastern Europe, and Central and South America. "There is no compulsory registration system for clinical trials in these countries and many do not follow European directives in their operations", says Jacob Sijtsma of the Netherlands-based WEMOS, an advocacy health organisation tracking clinical trials in developing countries. Alternatively, many American pharmaceutical companies have moved some clinical trials overseas. Benefits of conducting trials abroad include lower costs (in some countries) and the ability to run larger trials in shorter timeframes. Critics have argued that clinical trials performed outside the U.S. allow companies to avoid many of the FDA’s regulations, since the FDA audits these trials less frequently than U.S. studies. For drug applications approved by the FDA in 2008, 0.7 percent of foreign clinical study sites were audited by the FDA compared to 1.9 percent domestically. Other criticisms of foreign clinical studies, especially in developing countries, relate to the rights and welfare of study participants, integrity of study data, and relevance of data to the U.S. population. In the US, the FDA can audit the files of local site investigators after they have finished participating in a study, to see if they were correctly following study procedures. This audit may be random, or for cause (because the investigator is suspected of fraudulent data). Avoiding an audit is an incentive for investigators to follow study procedures. The local investigators are responsible for conducting the study according to the study protocol, and supervising the study staff throughout the duration of the study. The local investigator or his/her study staff are also responsible for ensuring the potential subjects in the study understand the risks and potential benefits of participating in the study; in other words, they (or their legally authorized representatives) must give truly informed consent. They are responsible for reviewing all adverse event reports sent by the sponsor. (These adverse event reports contain the opinion of both the investigator at the site where the adverse event occurred, and the sponsor, regarding the relationship of the adverse event to the study treatments). They also are responsible for making an independent judgment of these reports, and promptly informing the local IRB of all serious and study treatment-related adverse events. The ethical principle of primum non nocere guides the trial, and if an investigator believes the study treatment may be harming subjects in the study, the investigator can stop participating at any time. On the other hand, investigators often have a financial interest in recruiting subjects, and can act unethically to obtain and maintain their participation. The sponsor and the local site investigators are jointly responsible for writing a site-specific informed consent that accurately informs the potential subjects of the true risks and potential benefits of participating in the study, while at the same time presenting the material as briefly as possible and in ordinary language. FDA regulations and ICH guidelines both require "the information that is given to the subject or the representative shall be in language understandable to the subject or the representative." If the participant's native language is not English, the sponsor must translate the informed consent into the language of the participant. Throughout the clinical trial, the sponsor is responsible for accurately informing the local site investigators of the true historical safety record of the drug, device or other medical treatments to be tested, and of any potential interactions of the study treatment(s) with already approved treatments. This allows the local investigators to make an informed judgment on whether to participate in the study or not. The sponsor is also responsible for monitoring the results of the study as they come in from the various sites, as the trial proceeds. In larger clinical trials, a sponsor will use the services of a data monitoring committee (DMC, known in the US as a data safety monitoring board). This independent group of clinicians and statisticians meets periodically to review the unblinded data the sponsor has received so far. The DMC has the power to recommend termination of the study based on their review, for example if the study treatment is causing more deaths than the standard treatment, or seems to be causing unexpected and study-related serious adverse events.The sponsor is responsible for collecting adverse event reports from all site investigators in the study, and for informing all the investigators of the sponsor's judgment as to whether these adverse events were related or not related to the study treatment. This is an area where sponsors can slant their judgment to favor the study treatment. For safety reasons, many clinical trials of drugs are designed to exclude women of childbearing age, pregnant women, and/or women who become pregnant during the study. In some cases, the male partners of these women are also excluded or required to take birth control measures. In 2001, the editors of 12 major journals issued a joint editorial, published in each journal, on the control over clinical trials exerted by sponsors, particularly targeting the use of contracts which allow sponsors to review the studies prior to publication and withhold publication. They strengthened editorial restrictions to counter the effect. The editorial noted that pharmaceutical companies in the US. Researchers may be restricted from contributing to the trial design, accessing the raw data, and interpreting the results. In response to specific cases in which unfavorable data from pharmaceutical company-sponsored research were not published, the Pharmaceutical Research and Manufacturers of America published new guidelines urging companies to report all findings and limit the financial involvement in drug companies by researchers. The US Congress signed into law a bill which requires phase II and phase III clinical trials to be registered by the sponsor on the the clinical trials website compiled by the National Institutes of Health. Clinical trials are closely supervised by appropriate regulatory authorities. All studies involving a medical or therapeutic intervention on patients must be approved by a supervising ethics committee before permission is granted to run the trial. The local ethics committee has discretion on how it will supervise noninterventional studies (observational studies or those using already collected data). In the US, this body is called the Institutional Review Board (IRB). Most IRBs are located at the local investigator's hospital or institution, but some sponsors allow the use of a central (independent/for profit) IRB for investigators who work at smaller institutions. Janet Yang uses the Interactional Justice Model to test the effects of willingness to talk with a doctor and clinical trial enrollment. Results found that potential clinical trial candidates were less likely to enroll in clinical trials if the patient is more willing to talk with their doctor. The reasoning behind this discovery may be patients are happy with their current care. Another reason for the negative relationship between perceived fairness and clinical trial enrollment is the lack of independence from the care provider. Results found that there is a positive relationship between a lack of willingness to talk with their doctor and clinical trial enrollment. Lack of willingness to talk about clinical trials with current care providers may be due to patients’ independence from the doctor. Patients who are less likely to talk about clinical trials are more willing to use other sources of information to gain a better incite of alternative treatments. Clinical trial enrollment should be motivated to utilize websites and television advertising to inform the public about clinical trial enrollment. Clinical trials designed by a local investigator, and (in the US) federally funded clinical trials, are almost always administered by the researcher who designed the study and applied for the grant. Small-scale device studies may be administered by the sponsoring company. Clinical trials of new drugs are usually administered by a site management organizations can also be hired to coordinate with the CRO to ensure rapid IRB/IEC approval and faster site initiation and patient recruitment. Phase 1 clinical trials of new medicines are often conducted in a specialist clinical trial clinic, with dedicated pharmacologists, where the subjects can be observed by full-time staff. These clinics are often run by a CRO which specialises in these studies. For clinical trials involving a seasonal indication (such as airborne allergies, seasonal affective disorder, influenza, and others), the study can only be done during a limited part of the year (such as spring for pollen allergies), when the drug can be tested. This can be an additional complication on the length of the study, yet proper planning and the use of trial sites in the Southern, as well as the Northern Hemisphere allows for year-round trials, which can reduce the length of the studies. Clinical trials recruit study subjects to sign a document representing their "informed consent". The document includes details such as its purpose, duration, required procedures, risks, potential benefits and key contacts. The participant then decides whether to sign the document. The document is not a contract, as the participant can withdraw at any time without penalty. The protocol contains a precise study plan to assure safety and health of the trial subjects and to provide an exact template for trial conduct by investigators. This allows data to be combined across all investigatorss. The protocol also informs the study administrators (often a contract research organization). A growing trend in the pharmacology field involves the use of third-party contractors to obtain the required comparator compounds. Such third parties provide expertise in the logistics of obtaining, storing, and shipping the comparators. As an advantage to the manufacturer of the comparator compounds, a well-established comparator sourcing agency can alleviate the problem of parallel importing (importing a patented compound for sale in a country outside the patenting agency's sphere of influence). Of note, during the last 10 years or so, it has become a common practice to conduct "active comparator" studies (also known as "active control" trials). In other words, when a treatment is clearly better than doing nothing for the subject (i.e. giving them the placebo), the alternate treatment would be a standard-of-care therapy. The study would compare the 'test' treatment to standard-of-care therapy. Although the term "clinical trials" is most commonly associated with the large, randomized studies typical of Phase 3, many clinical trials are small. They may be "sponsored" by single researchers or a small group of researchers, and are designed to test simple questions. In the field of rare diseases, sometimes the number of patients is the limiting factor for the size of a clinical trial. A fundamental distinction in evidence-based practice is between observational studies and randomized controlled trials. Types of observational studies in epidemiology, such as the cohort study and the case-control study, provide less compelling evidence than the randomized controlled trial. In observational studies, the investigators only observe associations (correlations) between the treatments experienced by participants and their health status. However, under certain conditions, causal effects can be inferred from observational studies. Phase 0 Pharmacodynamics and pharmacokinetics in humans Phase 0 trials are the first-in-human trials. Single subtherapeutic doses of the study drug or treatment are given to a small number of subjects (10 to 15) to gather preliminary data on the agent's pharmacodynamics (what the drug does to the body) and pharmacokinetics (what the body does to the drugs). For a test drug, the trial documents the absorption, distribution, metabolization, and removal (excretion) of the drug, and the drug's interactions within the body, to confirm that these appear to be as expected. Phase 1 Screening for safety. Testing within a small group of people (20–80) to evaluate safety, determine safe dosage ranges, and begin to identify side effects. A drug's side effects could be subtle or long term, or may only happen with a few of people, so phase 1 trials are not expected to identify all side effects. Phase 2 Establishing the efficacy of the drug, usually against a placebo. Testing with a larger group of people (100–300) to see if it is effective and to further evaluate its safety. The gradual increase in test group size allows less-common side effects to be progressively sought. Phase 3 Final confirmation of safety and efficacy. Testing with large groups of people (1,000–3,000) to confirm its effectiveness, monitor side effects, compare it to commonly used treatments, and collect information that will allow it to be used safely. Clinical trials involving new drugs are commonly classified into five phases. Each phase of the drug approval process is treated as a separate clinical trial. The drug-development process will normally proceed through all four phases over many years. If the drug successfully passes through Phases 0, 1, 2, and 3, it will usually be approved by the national regulatory authority for use in the general population. Before pharmaceutical companies start clinical trials on a drug, they will also have conducted extensive preclinical studies. Each phase has a different purpose and helps scientists answer a different question. Compassionate use trials or expanded access trials provide partially tested, unapproved therapeutics to a small number of patients who have no other realistic options. Usually, this involves a disease for which no effective therapy has been approved, or a patient who has already failed all standard treatments and whose health is too compromised to qualify for participation in randomized clinical trials. Usually, case-by-case approval must be granted by both the FDA and the pharmaceutical company for such exceptions.